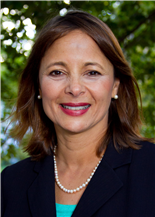 Leila Mathur Peck has been a financial advisor with Morgan Stanley for over 25 years. She received her BS from the University of Maryland College of Journalism, with a specialty in Science and Technical Communication. The training she received provided a foundation for research, analysis, synthesizing and applying technical concepts to client’s investment portfolios. She is responsible and accountable for managing over $100 million of client’s assets as of January 31, 2019. Throughout her career, Leila has provided personal attention and caring she devotes to the families with whom she works. She is now working with the adult children and grandchildren of her first clients, guiding them through their own financial planning and designing their financial path toward the future. Recently, Leila has been helping certain clients put their money where their values are using the firm's Investing With Impact Approach. This aims to generate market rate financial returns while demonstrating postive Environmental or Social Impact. Leila is active with clean energy and sustainable impact groups, Women In Technology, sailing, art and charity groups. She is a voracious reader, having been in the same book club for the last 15 years. She also enjoys exercising, gardening, and more. She lives in N. Arlington with her 2 college-aged children. Her oldest daughter has successfully launched and is working on the W. Coast. "To galvanize the necessary capital to have real impact, sustainable investing can't be limited to investors willing to accept unattractive returns in order to create social good. Getting to scale requires investment products that seek attractive returns while benefiting society. This is the philosophy behind our Investing with Impact Platform." Morgan Stanley launched an approach to investing in 2012 called Investing with Impact. Investing with Impact aims to generate market-rate financial returns while demonstrating positive environmental and/or social impact. Ready to start a conversation? Contact Leila Peck today. 1Tax laws are complex and subject to change. Morgan Stanley Smith Barney LLC (“Morgan Stanley”), its affiliates and Morgan Stanley Financial Advisors and Private Wealth Advisors do not provide tax or legal advice and are not “fiduciaries” (under ERISA, the Internal Revenue Code or otherwise) with respect to the services or activities described herein except as otherwise provided in writing by Morgan Stanley and/or as described at www.morganstanley.com/disclosures/dol . Individuals are encouraged to consult their tax and legal advisors (a) before establishing a retirement plan or account, and (b) regarding any potential tax, ERISA and related consequences of any investments made under such plan or account. 9The returns on a portfolio consisting primarily of Environmental, Social and Governance (“ESG”) aware investments may be lower or higher than a portfolio that is more diversified or where decisions are based solely on investment considerations. Because ESG criteria exclude some investments, investors may not be able to take advantage of the same opportunities or market trends as investors that do not use such criteria. 13Morgan Stanley Smith Barney LLC is a registered Broker/Dealer, Member SIPC, and not a bank. 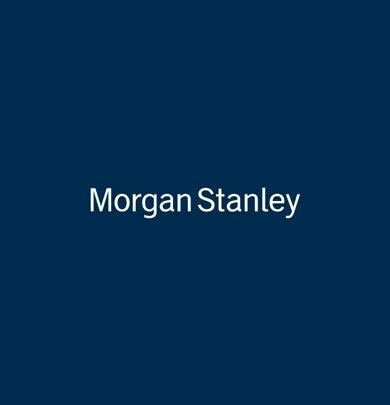 Where appropriate, Morgan Stanley Smith Barney LLC has entered into arrangements with banks and other third parties to assist in offering certain banking related products and services. 15An investment in an exchange-traded fund involves risks similar to those of investing in a broadly based portfolio of equity securities traded on exchange in the relevant securities market, such as market fluctuations caused by such factors as economic and political developments, changes in interest rates and perceived trends in stock prices. The investment return and principal value of ETF investments will fluctuate, so that an investor's ETF shares, if or when sold, may be worth more or less than the original cost.